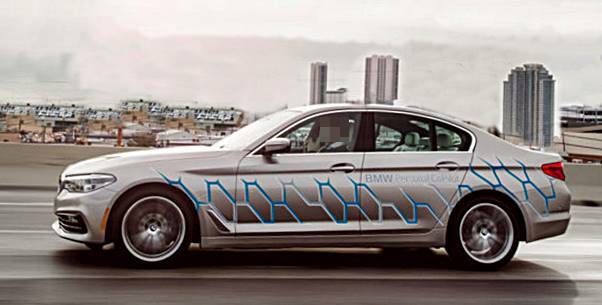 BMW 5 Series Autonomous Prototype Test Drive At CES 2017 - At CES 2017, a prototype autonomous owning brand new 5 Series. Called, the BMW Personal CoPilot, this is a totally hands off, eyes off, feet off experience for the chauffeur. BMW is so positive in this system that they let us take it out at night as the sun was setting into complete on Las Vegas heavy traffic traffic. BMW is working with Mobileye and Intel Corp, utilizing extremely precise GPS information, and other input from the cars and truck to assist autonomously drive the cars and truck. 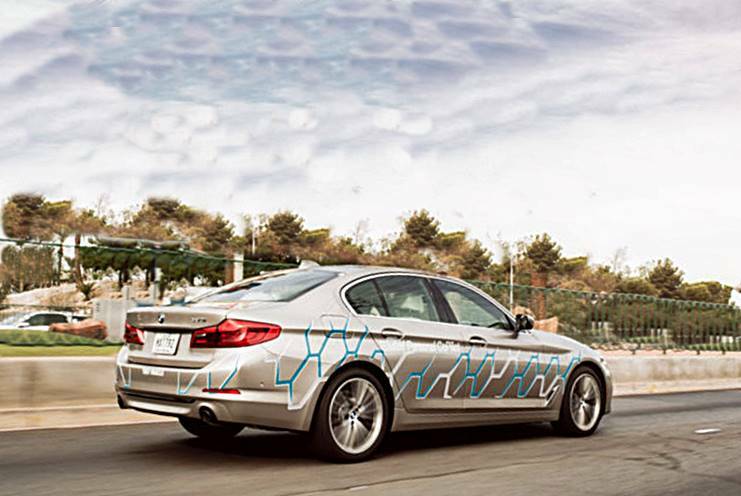 BMW anticipates to begin rolling out these functions some time in the next 5 years. The entire prototype owning experience started with an immersion into the future of Movement that BMW imagines with the BMW Connected Window. When it's time for you to go, the location is instantly filled into your BMW prior to you step foot in it. The entire point of this is that BMW is incorporating the vehicle so that you can prepare exactly what to do with the time that you get while you do not need to have hands on the wheel and show how movement is incorporated into individuals's digital life. BMW was really major about security here and my test drive consisted of a security engineer in the front traveler seat guaranteeing that the autonomous driving was done in safe way. At this point the engineer in the back seat started discussing whatever unique about the vehicle. 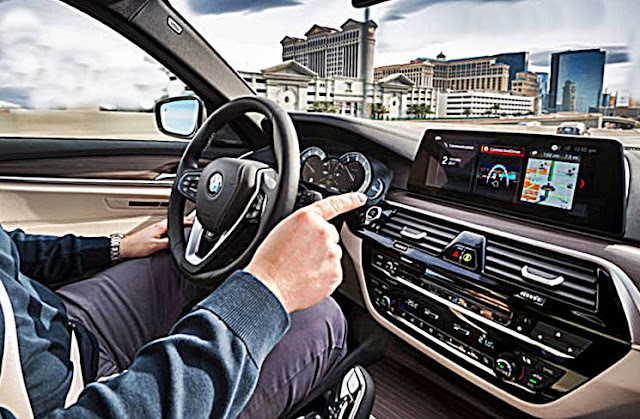 These BMW Personal CoPilot cars have actually specialized computer systems in the trunk tracking whatever for the automated owning as well as unique sensing units that are not discovered in the upcoming 5 Series automobile. It stays to be seen, nevertheless, precisely how BMW will a motorist trigger self owning when it gets carried out in production automobiles in 2021. When we made it from stop and go traffic off of the strip, we met the 5 Series' huge bro, a 7 Series that would drive in front people the entire time were we letting our cars and truck drive itself. Our Bavarian convoy went out onto I-15 going south with the 7 Series remaining right in front of us the entire time on the interstate. There were 3 BMW engineers and 2 vehicles to one reporter! A Green Steering Wheel and 2 green bars appeared on the center of the dash when autonomous drive was engaged. BMW is so positive that they had me doing Gesture Control to get details on points of interest as the cars and truck travelled at 60-70 miles per hour down the highway. You might even see the guiding wheel moving back and forth somewhat keeping the BMW in dead center of the lane. The men were so positive in their automobiles self-driving capability, that they didn't even mind when I got out my electronic camera and began snapping photos of the dash and head up screen as the cars and truck blended us down the highway. It was time to drive the cars and truck once again. Never ever believed I would be dissatisfied to drive a brand-new BMW however the experience of the BMW owning itself in an extremely qualified way in heavy traffic was in fact sort of relaxing. Now I had to browse 3 lanes of traffic rapidly to leave I-15 and head back to base. At CES 2017 BMW provides us a view into BMW's vision of the future. Autonomous owning BMW's are simply part of that future as BMW sees it.